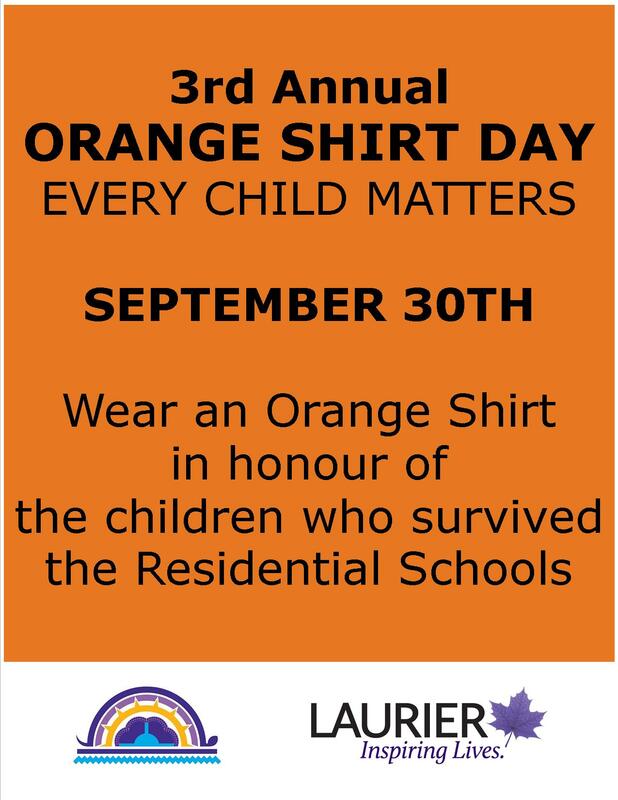 Just a reminder that Friday is the 3rd annual Wear your Orange Shirt Day. I am attaching a simple graphic (below) that you may wish to use in your class. And I am providing a link with more information on how this campaign got started. We are also posting the reminder on our campus Bulletin Boards.